Discussion in 'BAR Contests and Giveaways' started by Flagg37, Apr 9, 2019. This is the growth tracking thread. All participants will upload their pictures to this thread. 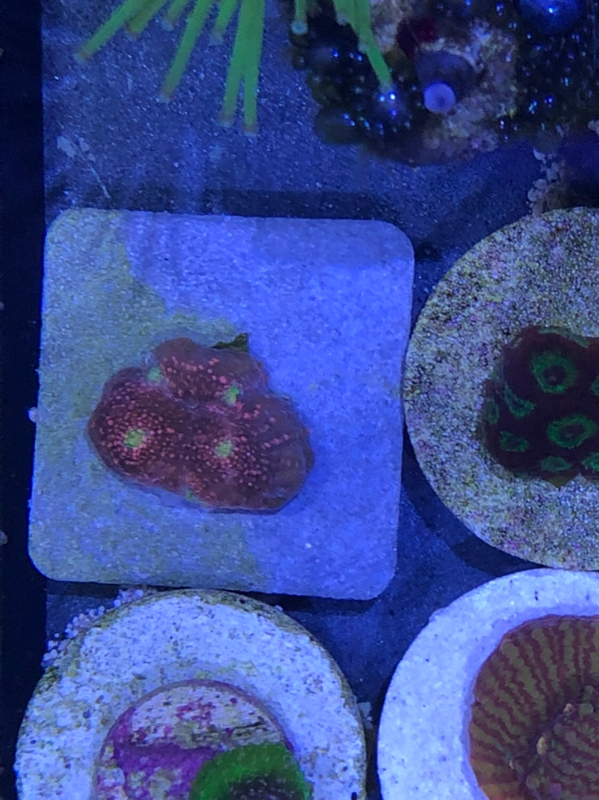 This contest is a friendly competition to see whose tank and husbandry techniques can grow corals the fastest. The TWO people with the most growth at the end of the contest will win a prize. Here's a picture of the coral. 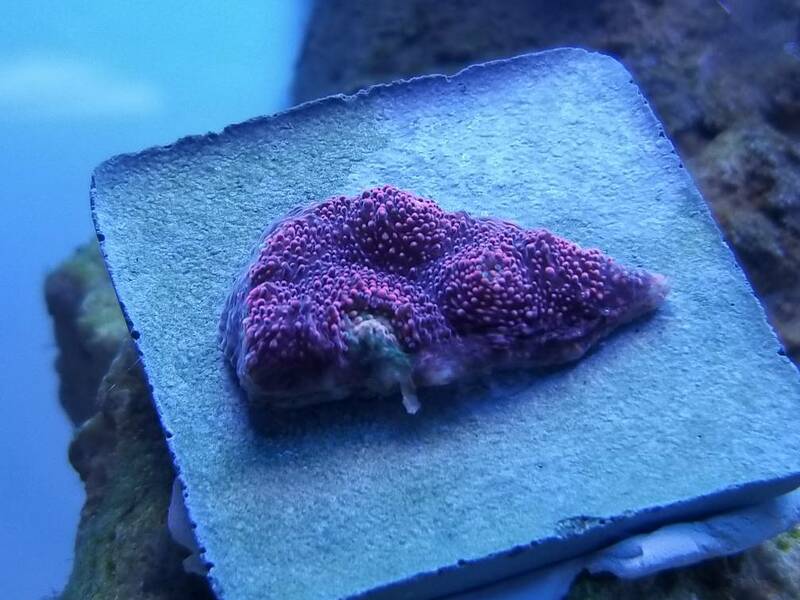 Post a picture of your frag ONCE a month before the 7th of each month or you are disqualified. Everyone gets 1 Cheat Month where they can miss a picture submission. On Oct 8 2019, the two people with the most number of NEW GROWTH eyes are the winners. Winners will be announced at the Regional Frag Swap. GCs available then. A 80$ Gift Card to any of BAR's Local Fish Store Sponsor (You choose which one). A 30$ Gift Card to any of BAR's Local Fish Store Sponsor (You choose which one). 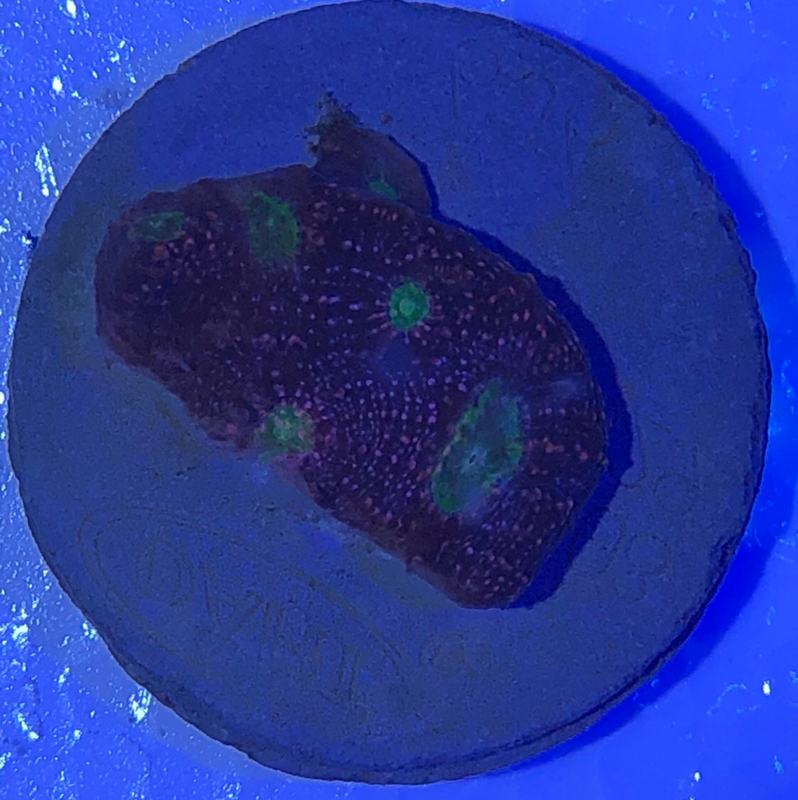 If you don't post a picture of the frag at least once a month, you are disqualified. 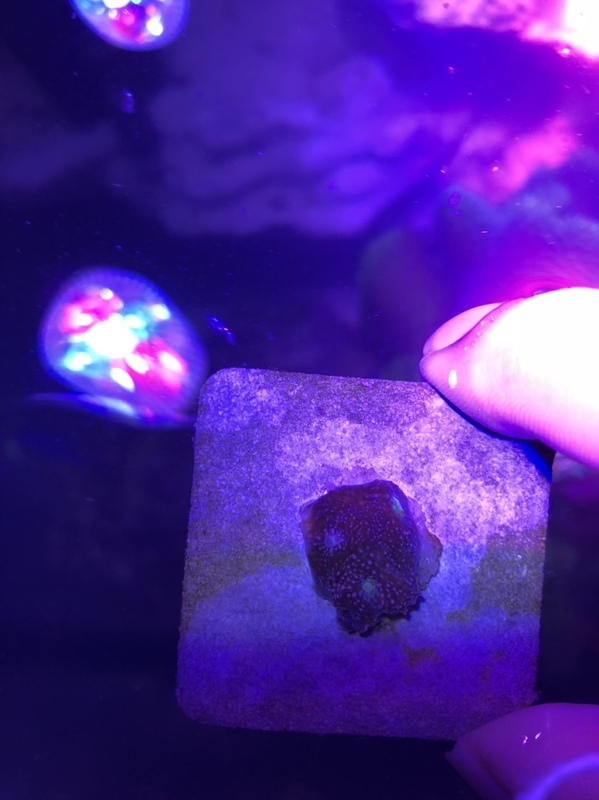 The Winners must write a summary of his or her experience with the coral i.e. conditions kept, learning lessons, etc. Judges reserve the right to change these rules if needed. Go ahead and post your initial pictures as soon as you have your frag along with your starting number of eyes. Thanks Flagg, please add @NelsonCh. I think I screwed up the list and added Baykes twice. What if we have 2+ ties? Rostato and grizfyrfyter like this. If this is going to be your official stating picture make sure you include how many eyes it has. Here’s my official one because I leaving town and won’t be able to snap a first pic. Are you going to do something about the bubbles? That's the best way to remove phosphates right? The bubble algae? Honestly don’t know what to do about them, tried siphoning them out and they just grow back. Not sure if siphoning makes it worse because some break in the process. Open to suggestions though!